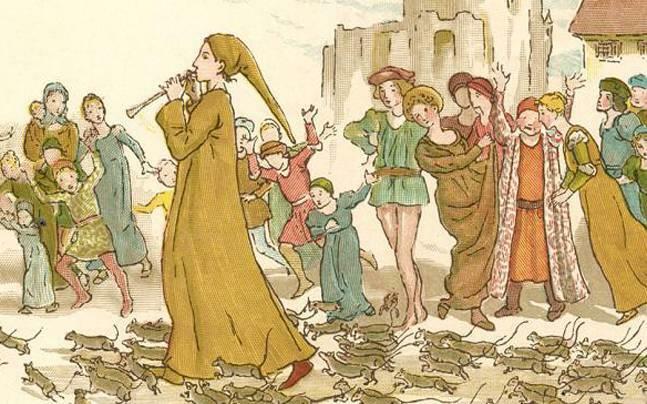 We have all heard the old children’s story about the Pied Piper, a mysterious musician who, in 1284, was hired by the people of Hamelin, in Lower Saxony, Germany, to take care of the town’s rat infestation. The piper, according to the legend, successfully completed his task, but the people of the village refused to pay him. As revenge, he used his magical flute to lure the town’s children away, never to be seen from again. 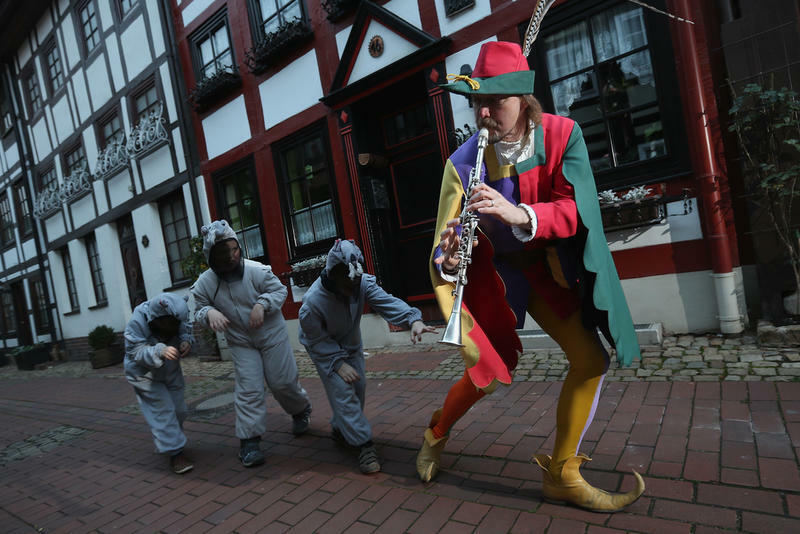 As strange and upsetting as this story is, we have to wonder if, like most fairytales, the story of the Pied Piper of Hamelin has some basis in fact. Historians know that, on June 26, 1284, one hundred and thirty of the children of Hamelin were ‘lost’. This information has been obtained from a few primary sources. One was a stained glass window in the church of Hamelin, dated at around 1300, that commemorates the lost children. The original window was destroyed in 1660, but several drawings of it remain. Oddly, the window makes no reference to a rat infestation. One of the oldest written accounts of the incident was the Lüneburg manuscript which was written around 1440. A passage in this manuscript reads, “In the year of 1284, on the day of Saints John and Paul on June 26, by a piper, clothed in many kinds of colors, 130 children born in Hamelin were seduced and lost at the place of execution near the Koppen.” According to the story, the children were last seen on one particular street in Hamelin. That street is now known as Bungelosenstrasse or the ‘street without drums.’ To this day, no one is allowed to dance or play music on this street. Historians don’t know who the mysterious piper was if he even existed and why he was dressed in pied, or multi-colored clothing. And they don’t know what happened to the children. The stained glass window that was once in the Hamelin church does seem to hint at a tragedy that occurred with the town’s children, but it does not provide details. Many historians point to the part of the story that says Hamelin was overrun with rats prior to the disappearance of the children. We now know that fleas on rats were responsible for spreading the Black Plague across Europe, killing as much as one-third of the population. Could it be that the children of the village all succumbed to the Plague? All on the same day? That would have been a near-impossible coincidence. 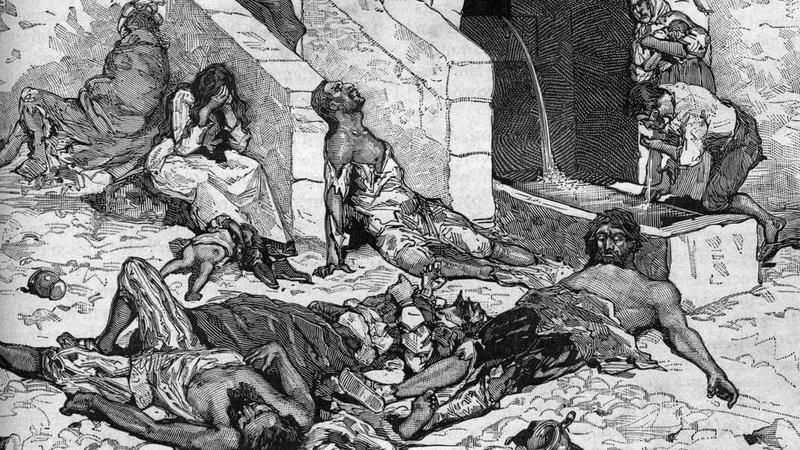 The Black Death, however, was at its peak around 1350, about a hundred years after the Hamelin incident, therefore, the Plague seems like an unlikely cause of the loss of the children. 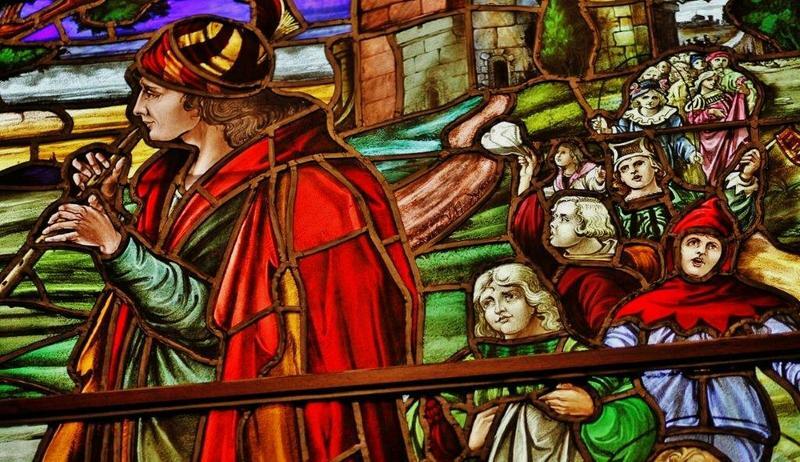 Some experts link the loss of the Hamelin children to another sad event in medieval history, the Children’s Crusade. During the Children’s Crusade, as many as 30,000 children willingly followed another child…one who claimed to see visions from Jesus…on a journey that was supposed to take them to the Holy Land in the Middle East. The child zealot told them that they would be successful in converting the Muslims to Christianity with their youthful innocence. The children never reached the Holy Land. More than two-thirds died on the journey and others were sold into slavery. It could be that 130 of Hamelin’s youth willingly followed the zealot toward the Holy Land, except that the dates are off. The Children’s Crusade happened in 1212, more than seventy years before the Hamelin incident. 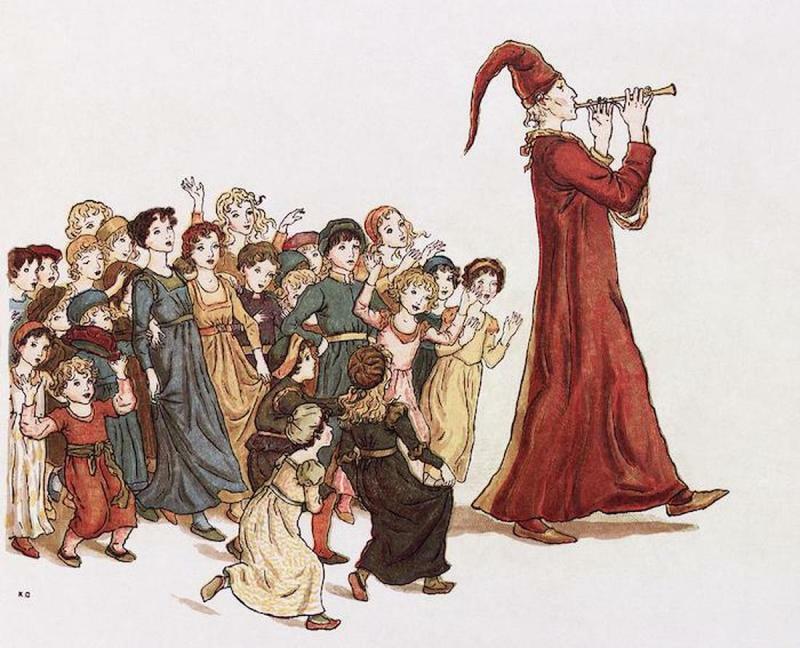 It could be that the original story of the Pied Piper is more accurate than we would like to believe. Certainly, there have been serial killers walking the Earth since the beginning of time. Perhaps the mysterious piper was one of these psychopaths who was triggered be a need for revenge against the people of Hamelin or pushed on by his own twisted desires. It could be that he abducted the children and, presumably, killed them. It does, however, seem improbable that one man, no matter how entrancing his music is, could single-handedly kidnap 130 kids. And if he did kill them all, there are no records of bodies being found. This is one of the crazier theories. Believers of this theory point to the piper and note the strange description of him. He was described as wearing odd, multi-colored clothing that was different than what the people of Hamelin wore. 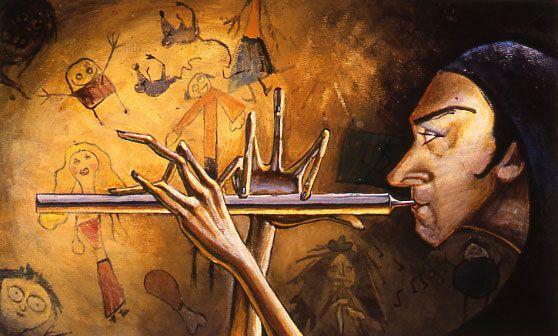 And then there is his flute. It was said that the tune he played on the flute hypnotized the rats and they were persuaded to follow the piper out of town. The magical tune also worked on the children, too. One of the early reports of the event claimed that the piper led the children out of the east gate and to a nearby mountain. The mountain then opened up to reveal a wide chasm that swallowed up the children. 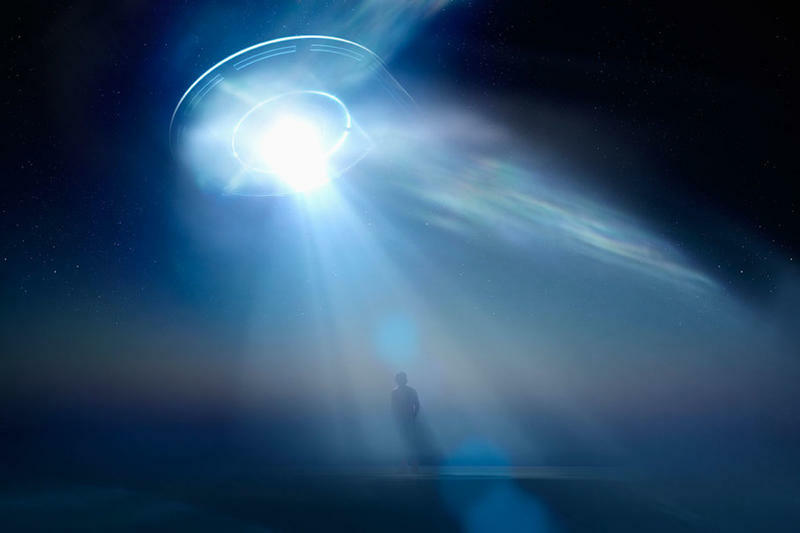 Proponents of the alien abduction theory say that the mountain may have actually been a spacecraft and the children were all taken inside it. It could also be that the accounts of the incident at Hamelin may have been exaggerated over time. Today, that story serves as a cautionary tale about keeping promises and paying your debts. The message is that children are more precious and valuable than money. Hamelin has turned its town tragedy into a tourist attraction. 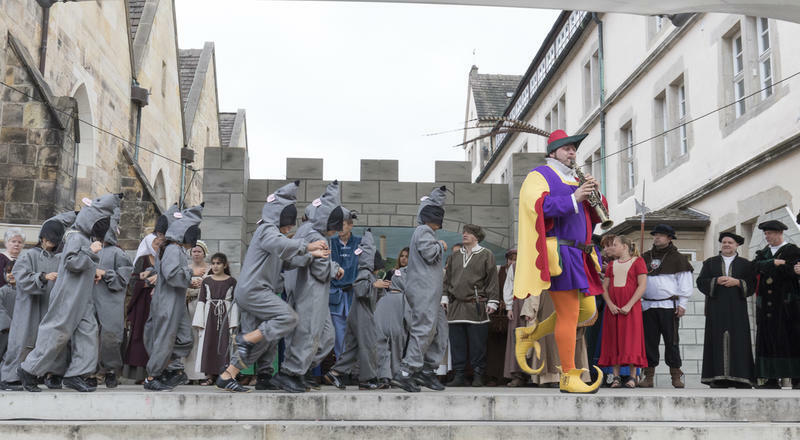 Visitors can see the town’s east gate and the Street without Drums and be entertained by costumed characters that reenact the tragic events of 1284.